It’s hard not to wonder, whilst watching Craig William Macneill’s debut feature, The Boy, how it came to be made, as it appears the writers forgot to write a script. It may not normally be the reserve of cinephiles to complain of boredom during slower-paced movies, but when the final half-hour is approaching and a single notable event is yet to occur, it’s safe to assume the problem does not lie with the viewer. If the number of walkouts is anything to go by, The Boy, described as a “slow-burning horror”, is not likely to number among the festival’s critical hits. The boy in question is Ted (Jared Breeze), a nine-year-old living a lonely existence with his father (David Morse) in their mountainside motel, whose guests are normally accidental, and few and far between. Ted, who doesn’t appear to attend school, has no friends of his own and relies on the passing guests for his social interaction, forming strong but fleeting attachments. Oddly obsessed with death, Ted collects roadkill in exchange for pocket money from his father, a ritual that is almost touching when we learn that he is trying to save up for a one-way to ticket to California to join the mother who abandoned him when she ran off with a trucker guest. When mysterious traveller William (Rainn Wilson) is stranded at the motel (after hitting a deer Ted lured onto the highway), the two begin to forge a connection. Although a local police officer seems to suspect William of some wrongdoing, it gradually becomes clear that Ted is the one to be wary of. Anyone with prior knowledge of the psychological make-up of serial killers and their childhood behaviours will recognise the tell-tale sociopathic tendencies in Ted: living in virtual isolation with a lack of education, abandoned by his mother and left with a well-meaning father who is nevertheless too wrapped up in his own depression to pay his son the proper attention. Comparisons with the imaginary childhood of a Norman Bates are too easy to draw. Ted certainly indulges in some odd behaviour, including sabotaging the engine of a passing family’s car and paying silent night-time visits to the sleeping guests’ rooms. He may be a little creepy, but this doesn’t come close to justifying the horror label, and is definitely not capable of sustaining over an hour’s worth of footage before things are stepped up a notch. Unfortunately no amount of beautiful cinematography (of which there is plenty), chilling score or a climactic ending can compensate for such a tedious narrative. 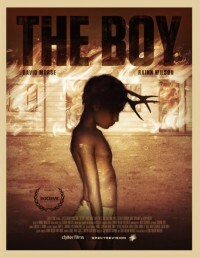 The Boy does not have a UK release date yet. It is part of the Cult competition at the 59th London Film Festival.